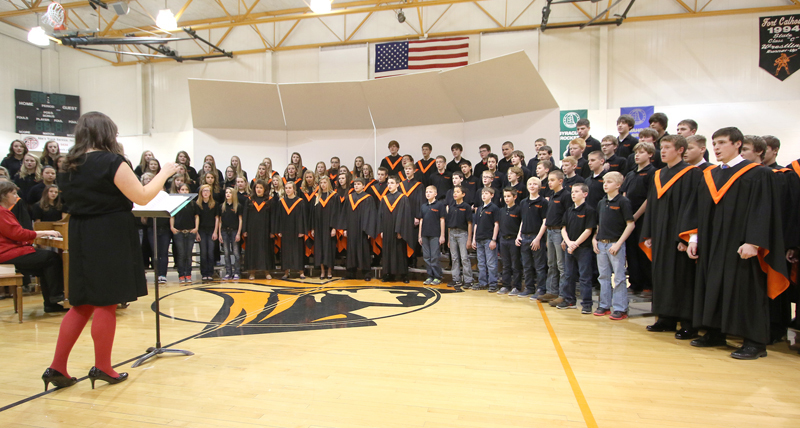 I always look forward to attending the concerts and performances that take place this time of year in school auditoriums and gymnasiums, the Washington County Bank lobby, retirement homes and other venues throughout the county. The music truly helps to make the season bright. 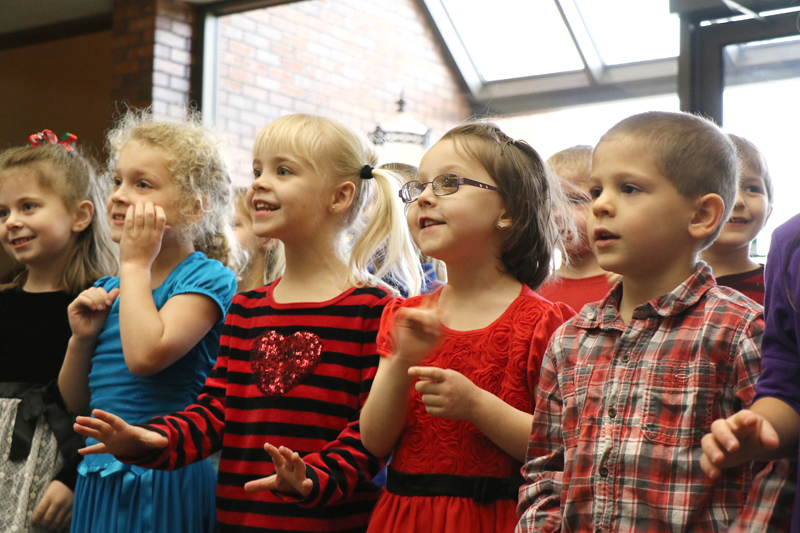 South School kindergarten students Valerie Jensen, Mia Kern, Amelia Boswell, Emily Roberts, and Zach Matney sing at the Washington County Bank on Tuesday. 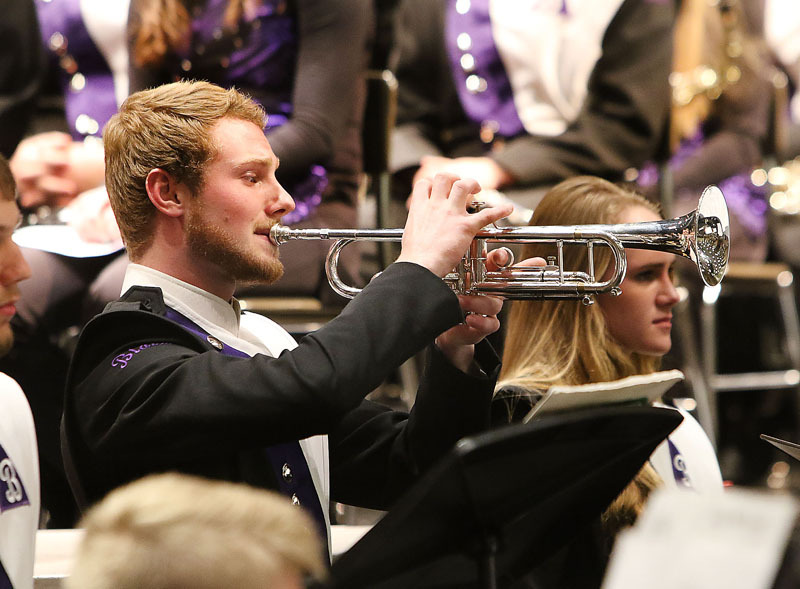 Blaine Fisher plays trumpet solo with Jazz I at the winter band concert Monday evening. Odyssey show choir performing at Blair Family YMCA from left: front: Madison Hilgenkamp, Cameron Gayer, Molly Kment, Andrew Sorensen, Destinea Fuhlrodt, Sam Lawton, Jill Myers. 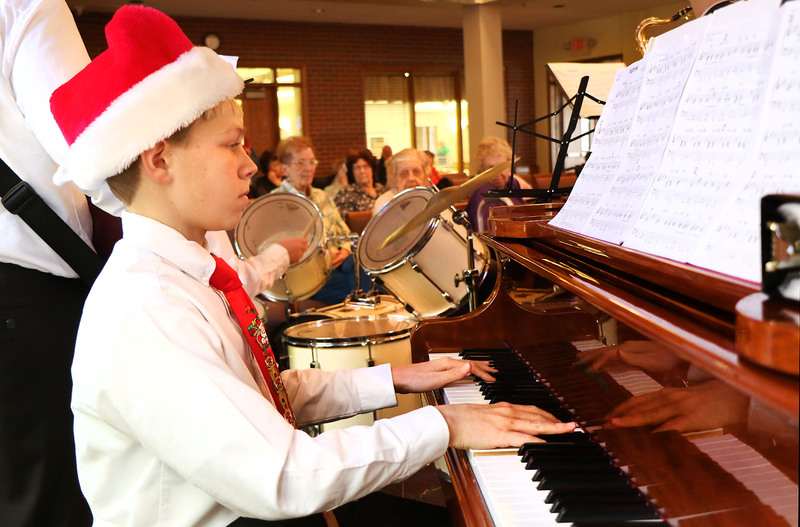 Pianist Sam Lueders performs with the Otte Middle School Jazz Band at Good Shepherd on Dec. 9. North School Kindergarten students singing at the Washington County Bank. Arbor Park Fifth grade choir from left: Caitlyn Haggstrom, Blake McIntosh, Rylie Thurlow, Makenzie Mencke, Ashlyn Just, Layne Ellis, Gage Nissen, Haidy Hassan, Ryan Ray singing at the Washington County Bank. 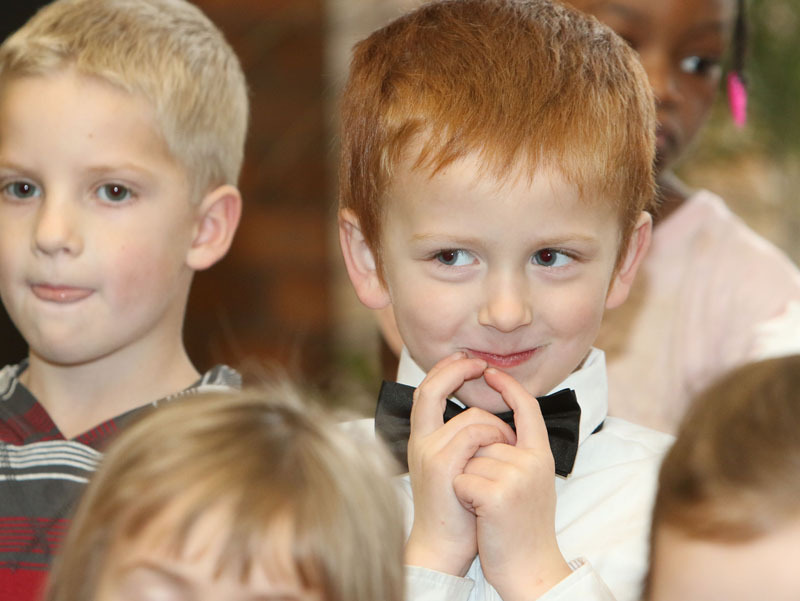 Parents watch and listen to South school Kindergarten students at Washington County Bank Wednesday morning. Arbor Park Ffth grade choir From left: Mary Garcia, Madeline Dirkschneider, Samantha Cemer, Mylea Fowler, Paige Daggett sing at Washington County Bank. South kindergarten students at the Washington County Bank. 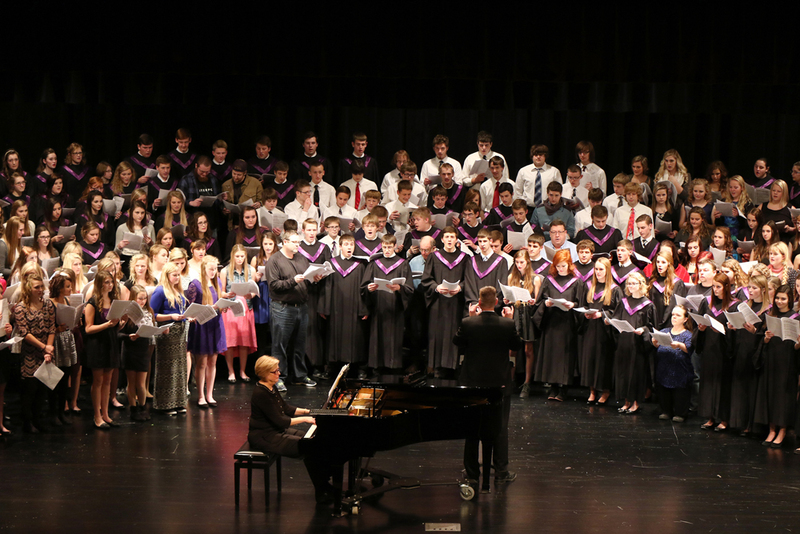 Blair Treble choir performs at the vocal music concert on December 9. On Stage show choir members from left: Erica Lock, Abby O’Brien, Katelyn Schany, Cassie Meeder, Laura Dutton, Jacque Cortez, Lainey Tierney, Lauryn Shaw, behind them: Hannah Keatts, Gabby Leonard and Josie Andreasen perform at the YMCA Senior Center. Phenomenon Show choir members Christine Cate and Shannon Forrester. Otte Jazz Band performs at Good Shepherd retirement home in Blair. Otte Middle School Jazz Band perform at Good Shepherd on Dec. 8. Drummer Dalton Stoner plays with the Otte Jazz Band at Good Shpheerd Decembeer 9. Blair 9/10 band baritone horns perform during winter concert. Jazz I trombones play during the Blair Winter concert.